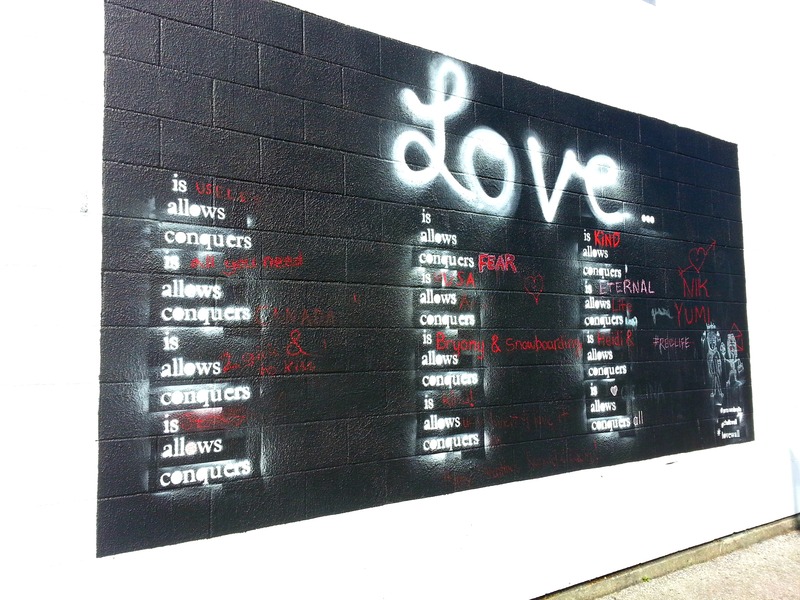 I love it when cities invest time and energy into sprinkling art into communities. A lot of people pass by without noticing it, but it never ceases to bring a smile to my face. 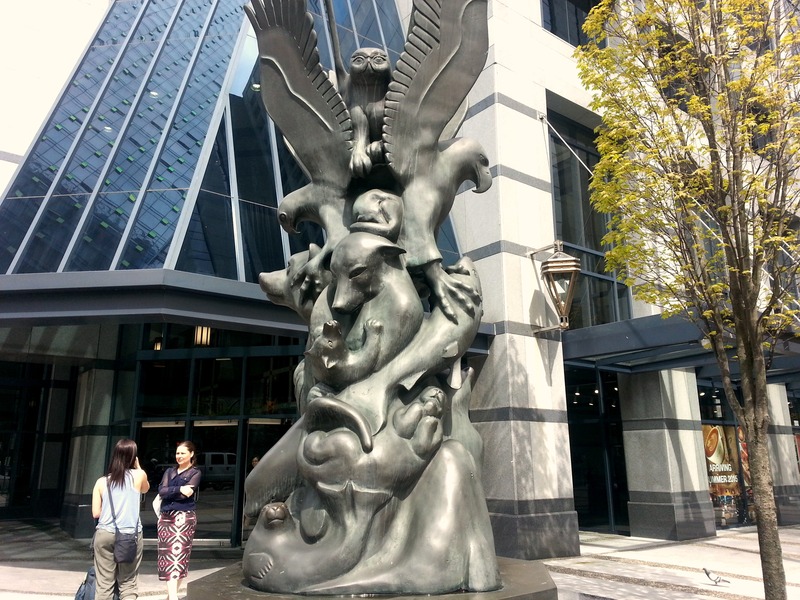 Vancouver has an incredible amount of public art scattered throughout the city. 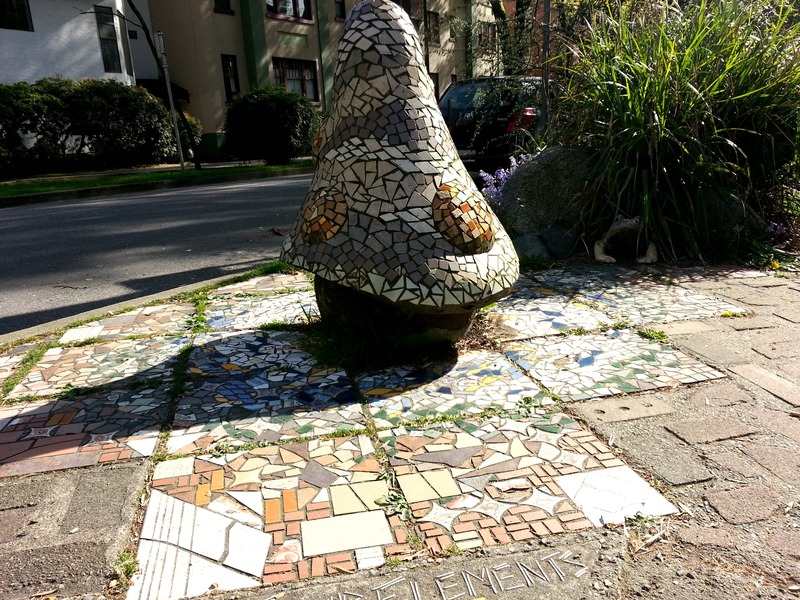 This random mushroom stood unassumingly in a residential neighborhood. 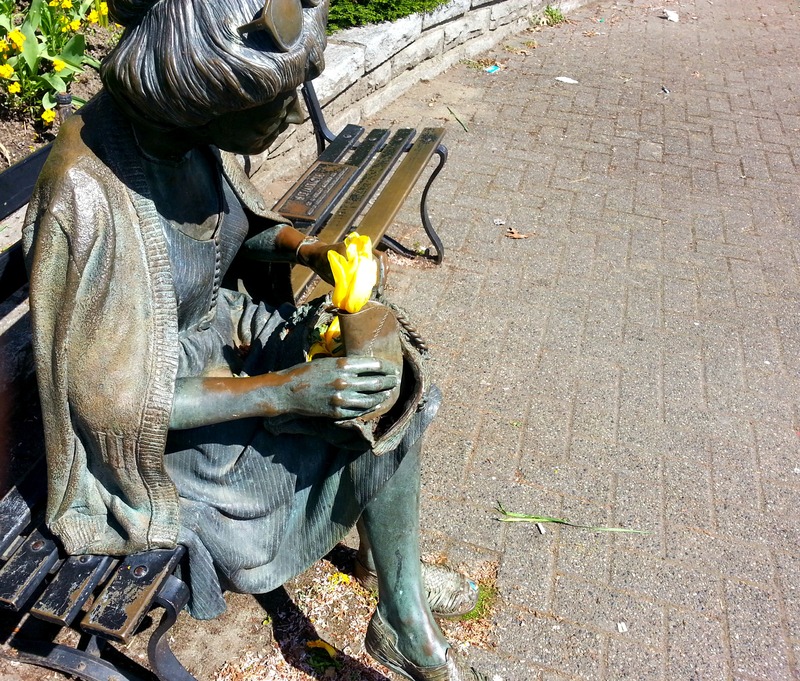 Somebody picked one of the nearby tulips and left it in this sculpture’s purse. 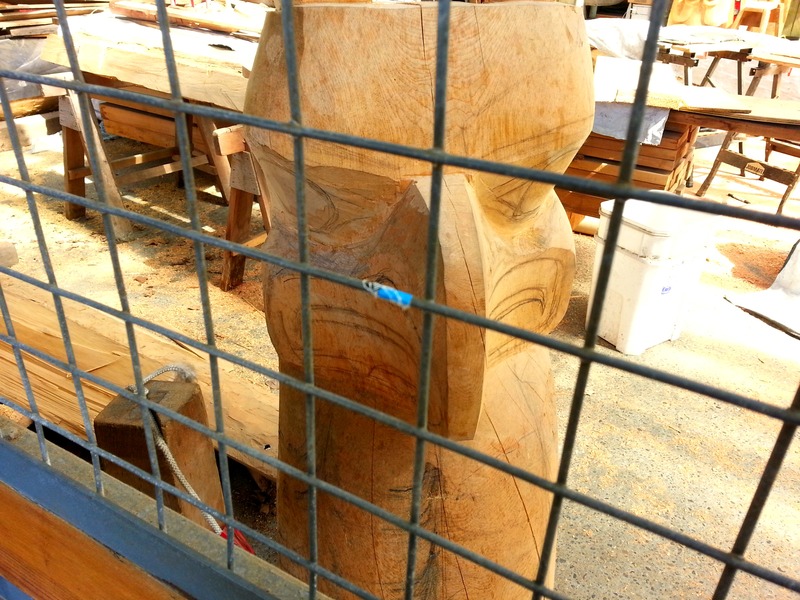 I already posted about how much I liked Granville Island, and the art added to the charm. This was probably the wackiest display I saw. 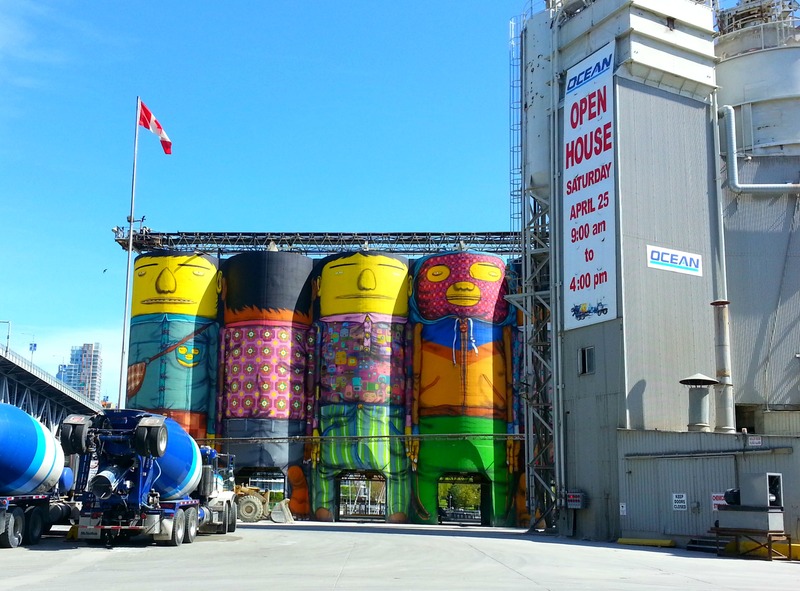 The “Giants” mural blends two-dimensional and three-dimensional art on six silos at the Ocean Cement manufacturing and distribution plant on Granville Island. 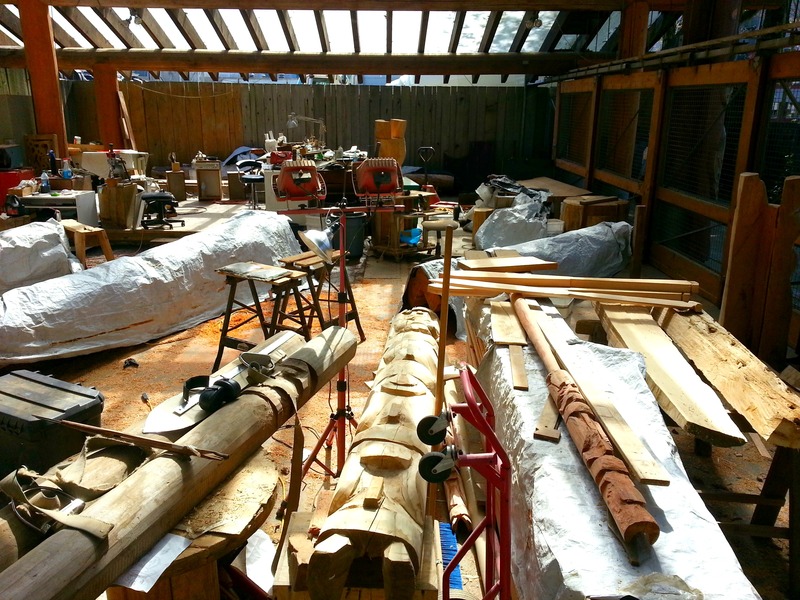 There’s a section of the island dedicated to the construction of First Nations totem poles. 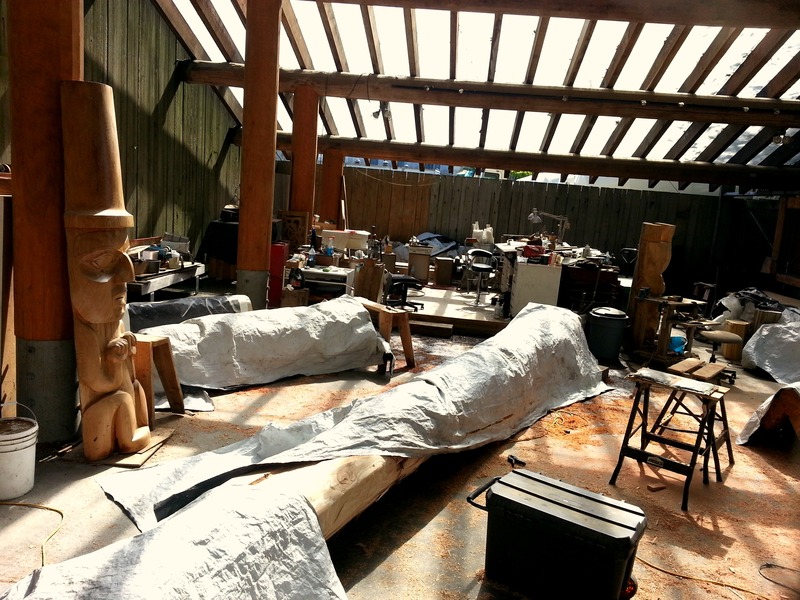 Elsewhere in the city are other sculptures highlighting First Nations heritage. 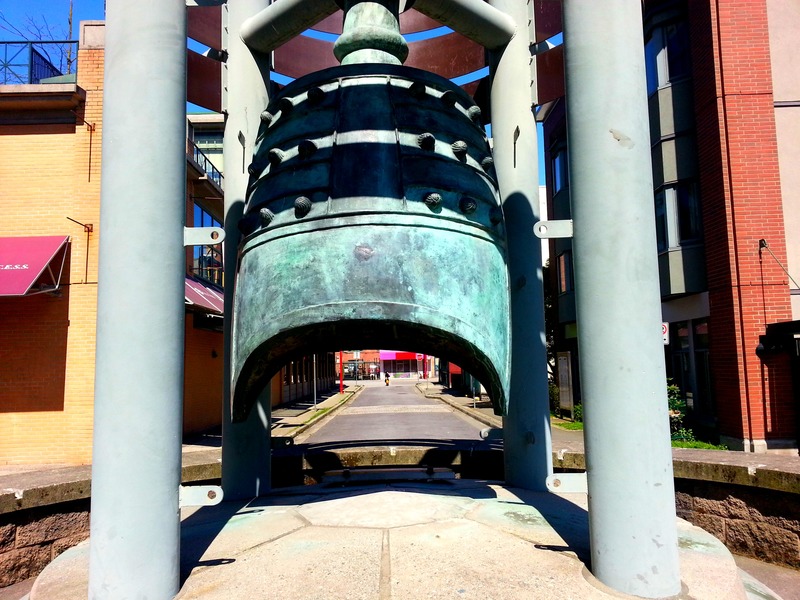 Also displaying heritage is the Han Dynasty bell in Chinatown. The bell — a gift from the city of Guangzhou — is a replica of one unearthed in 1983 during excavation for a hotel in Guangzhou. 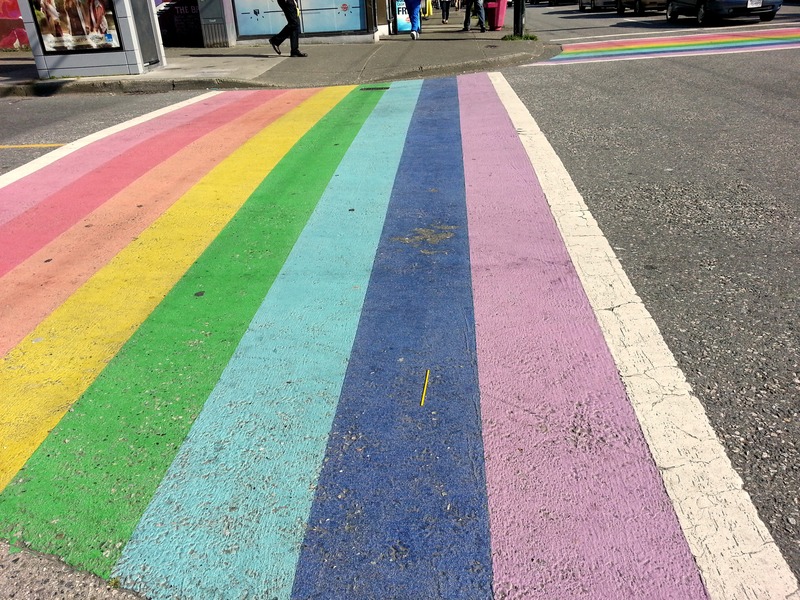 Even the crosswalks are artistic in Davie Village, Vancouver’s main gay-friendly neighborhood. 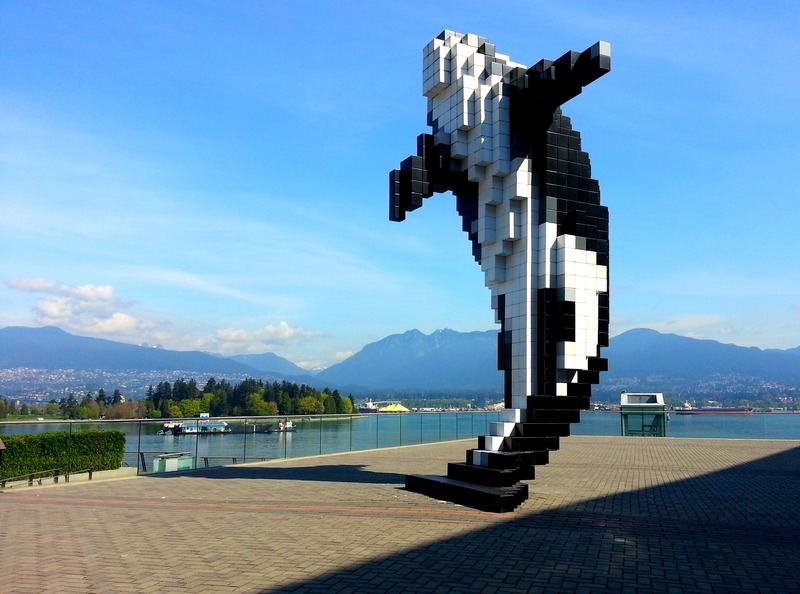 Perhaps one of my favorite art displays is the digital orca next to the convention center, highlighting both the city’s harbor-centric heritage and modern advances. 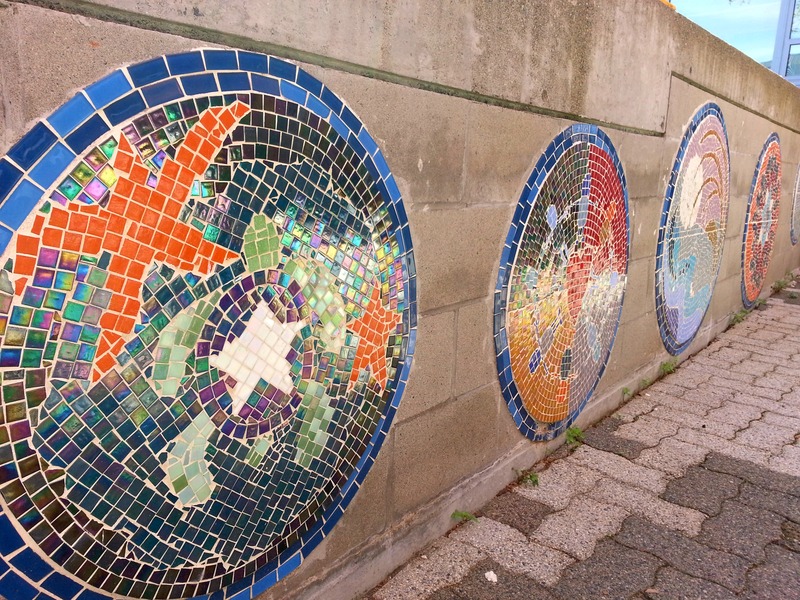 Spotting these and other examples of public art kept me smiling while walking around in Vancouver. Be sure to keep your eyes peeled for cool stuff like this if you visit… or while wandering around other cities with a focus on public art.